The Seattle Comic Con (officially known as the Emerald City Comic Con). An annual comic book convention in Seattle where fandom from every corner of the earth come together in an inclusive, creative, and fantasy environment. Since 2008, it has been held at the Washington State Convention and Trade Center at 705 Pike Street. Unfortunately, hotels near the Convention Center typically jack up their prices when the convention comes to town. But have no fear! 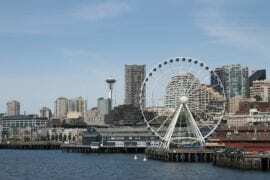 There are other affordable, more exciting options for your trip to Seattle. 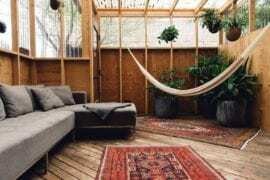 Check out these 7 Airbnb properties we’ve picked for you to stay at for under $150 per night. 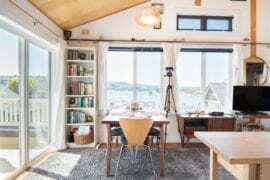 Equipped with a full kitchen, free laundry, and fantastic water views, this apartment is an amazing find for $66 per night. 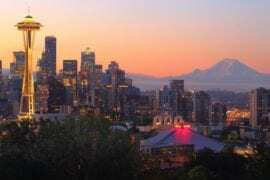 It is located close to all the main attractions of Downtown Seattle, including the Convention Center, making it an ideal place for those attending Seattle Comic Con! 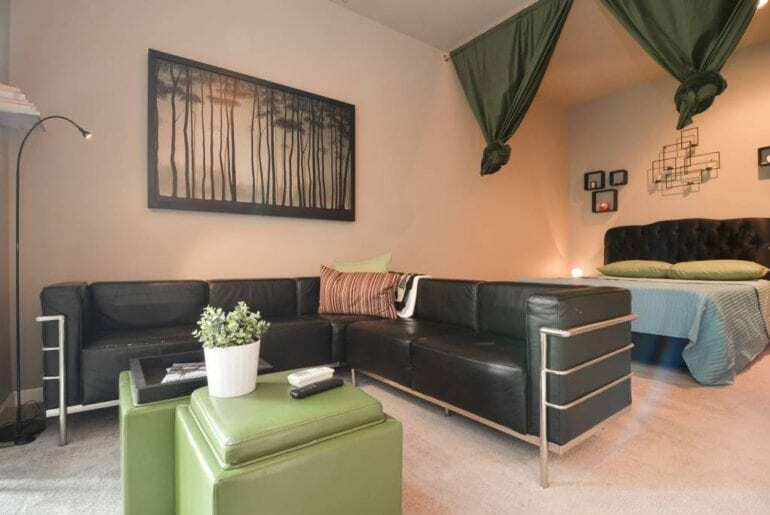 Enjoy your Seattle getaway in this one-bedroom luxury condo beautifully decorated in an ideal location. Relax by the pool, rejuvenate at the spa, and lounge on the deck with breathtaking views. For dinner, be sure to check out Seattle’s nearby top-rated Sushi bar! Pricing starts at $71 per night. 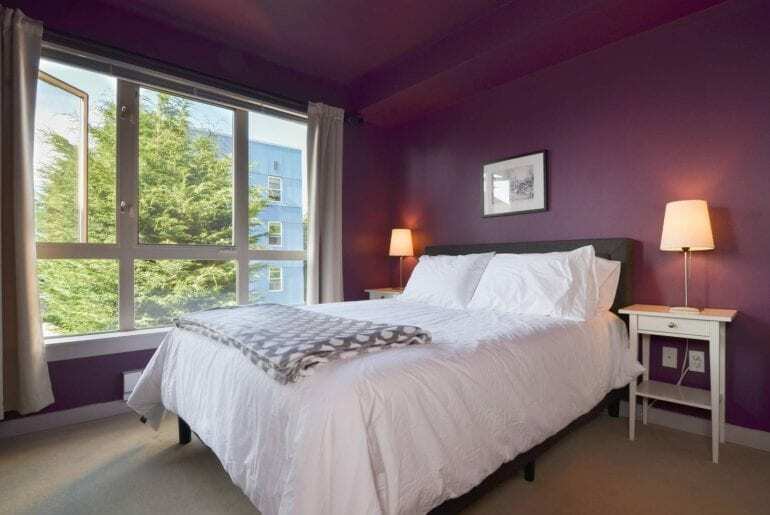 This studio apartment is a great option for solo adventurers or couples attending Seattle Comic Con due to its unbeatable location and cozy vibe. 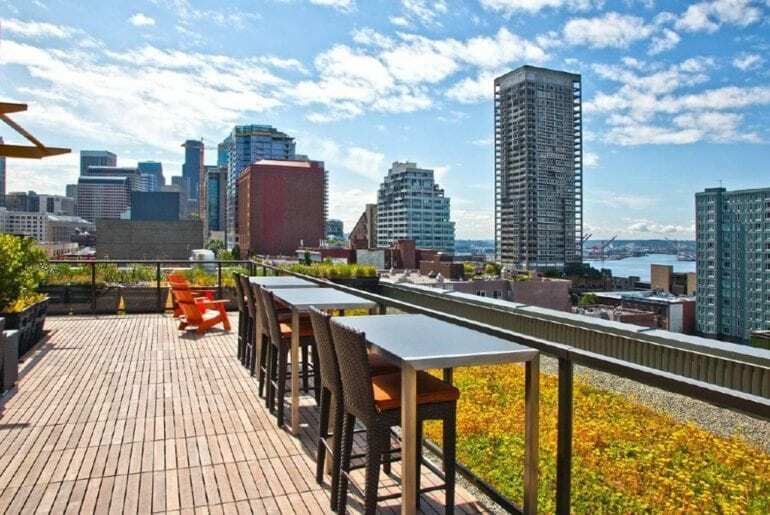 In the evenings, you can relax on one of the two beautiful rooftop decks and watch the sunset over the city or head to nearby Pike Place Market and Waterfront! Prices start at $75/night. 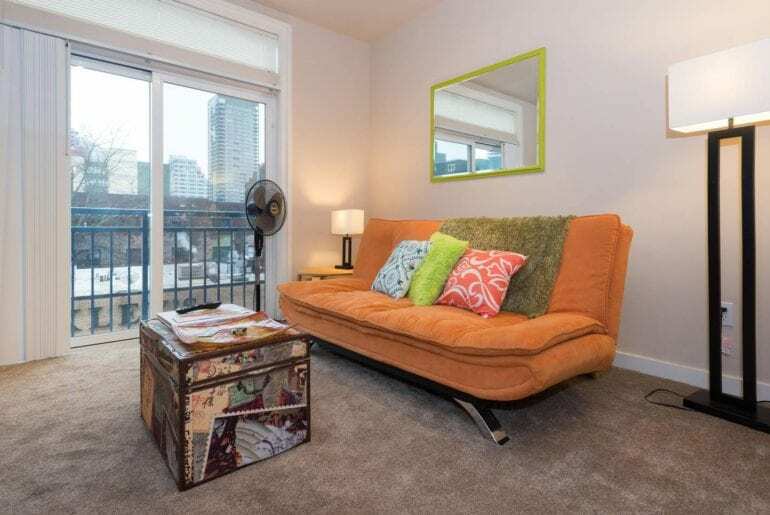 This beautiful Downtown studio is situated in a historic building in Belltown. 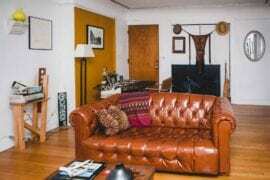 It is centrally located near the Convention Center, Pike Market, and the Space Needle. 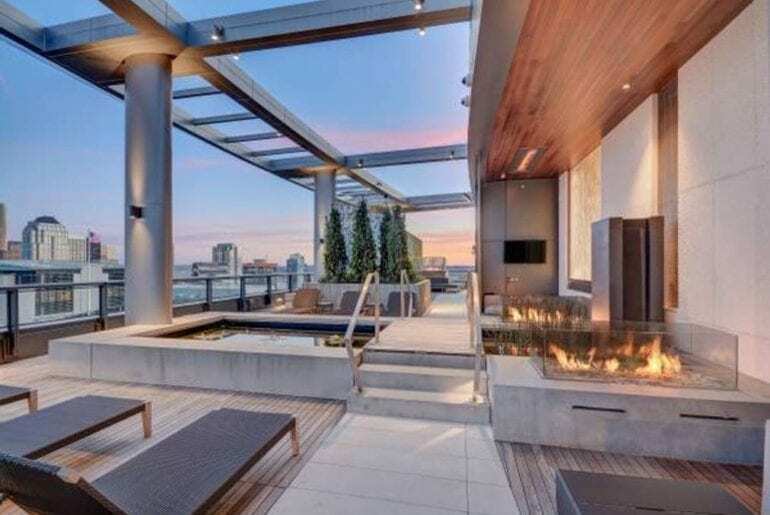 The expansive window boasts gorgeous views of Seattle so is the perfect addition to your morning coffee. You’ll also have access to free laundry and one free parking space! Prices start at $89 per night. 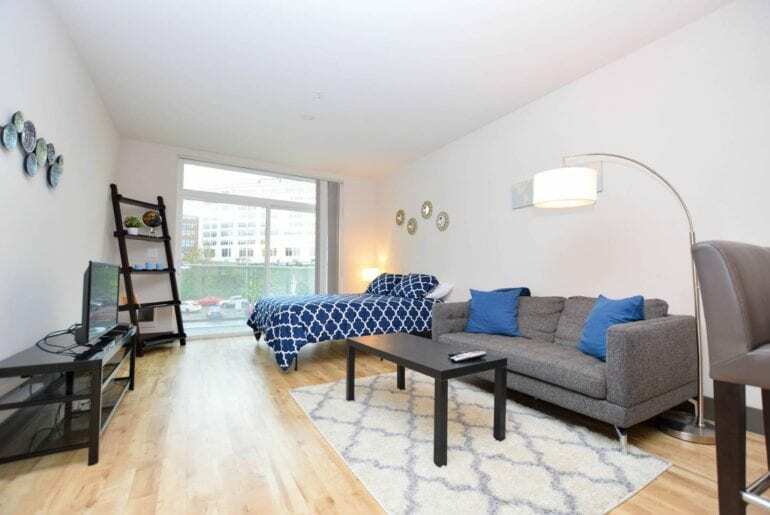 Conveniently located in the center of the thriving Capitol Hill neighborhood, this condo provides easy access to the best restaurants, bars, parks, and art galleries in the city. So for only $109 per night, you’ll get access to the entire condo including laundry, a reserved parking space, a deluxe fitness center, and a rooftop terrace! 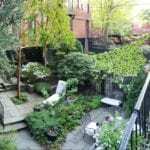 This apartment is close to the Convention Center and other popular attractions. 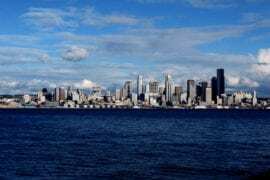 So take a walk and explore the stadiums, the Waterfront, Pike Place Market or the ferry boats. 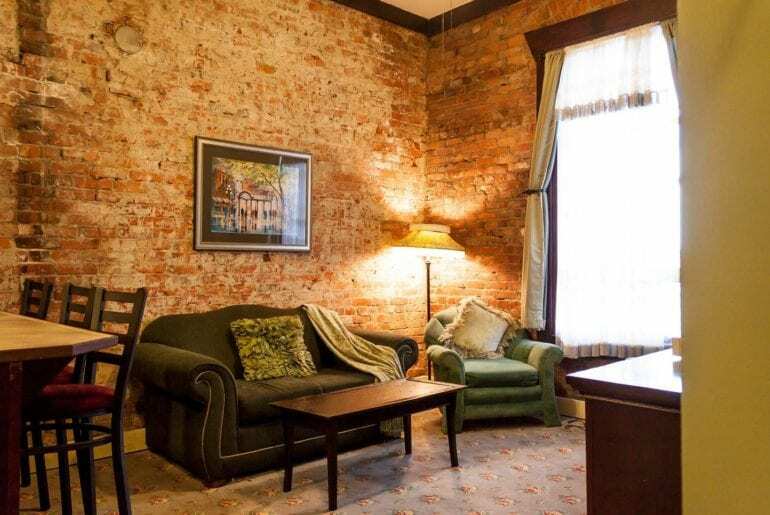 The exposed brick, full kitchen, and free laundry make this a true home away from home experience. Pricing starts at $100 per night. 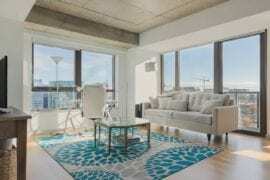 This modern apartment is in the bustling Belltown neighborhood. It is the perfect place to stay during Comic Con as you’ll be just minutes away from the Convention Center. For days you’re not attending the event, check out Pike Place Market, Puget Sound Waterfront, and Seattle Aquarium! You also have access to a beautiful rooftop deck, so you get 360-degree views of the beautiful city. Prices start at $125 per night.